We welcome children of all ages. 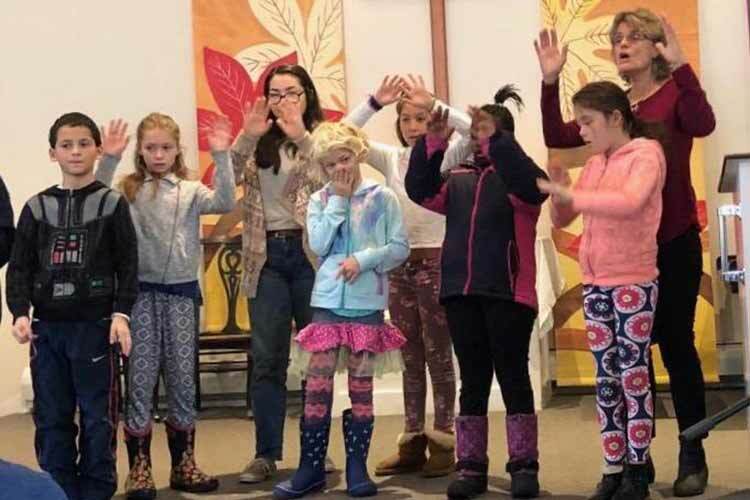 From September through May, children through the fifth grade go downstairs after the children’s story for shared time and Sunday School, with nursery care for the youngest. During the summer, nursery care is provided and parents share the oversight of outdoor play or informal indoor crafts and games for older children. The Sunday School class shared a Navajo Prayer they learned, complete with special sign language. For sixth and seventh graders, there is Confirmation Class with the pastor, meeting at 9:00 Sunday mornings on a predetermined schedule, which culminates in choosing whether or not to become a member of the church. 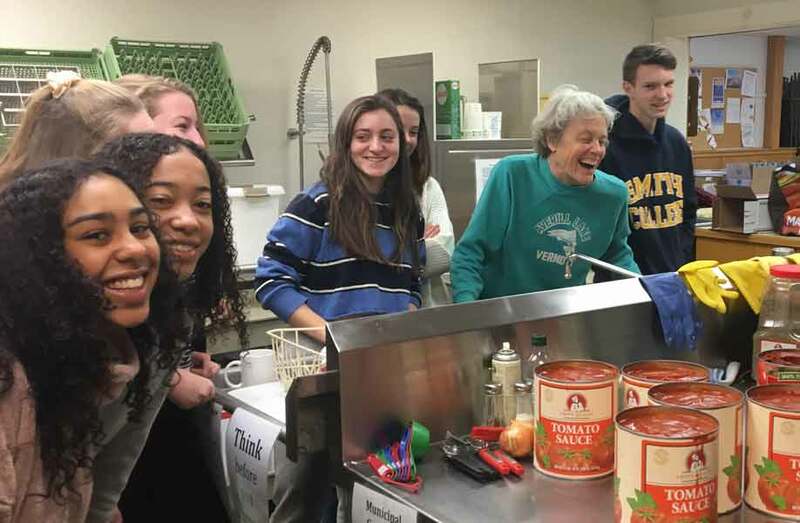 Middle and high school students take part in service to the community, such as raising money to buy food for the Drop In Center, and in fun activities such as pizza and movie nights and swim parties. Youth mission trips have included a group traveling to Mississippi to help with clean-up after Hurricane Katrina and a February 2009 trip to St. Croix to work in an orphanage and senior center. In 2012, the senior youth group traveled to Kenya to work with and get to know a community supporting AIDS orphans.